The Komodo National Park just off the Flores island in Indonesia was some of the best scuba diving we've ever experienced. 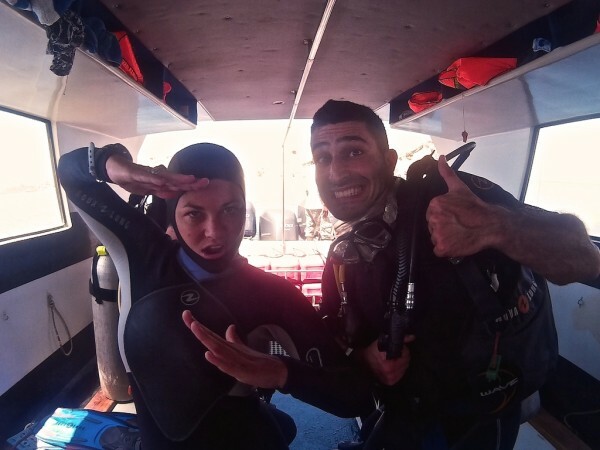 After learning to dive Koh Tao in Thailand, fun diving in Thoddoo island in the Maldives, Okinawa in Japan and in Palawan in the Philippines, we had very high expectations. WARNING: you will be spoilt rotten diving here and everything afterwards will pale into comparison. 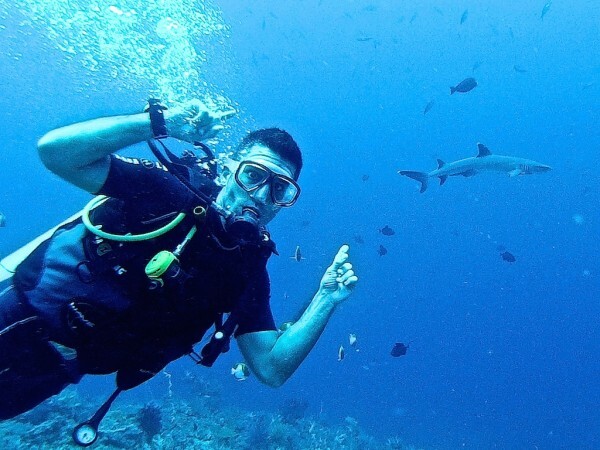 Stefan spotted a reef shark, no 2…no wait 3 while diving in Komodo national park! 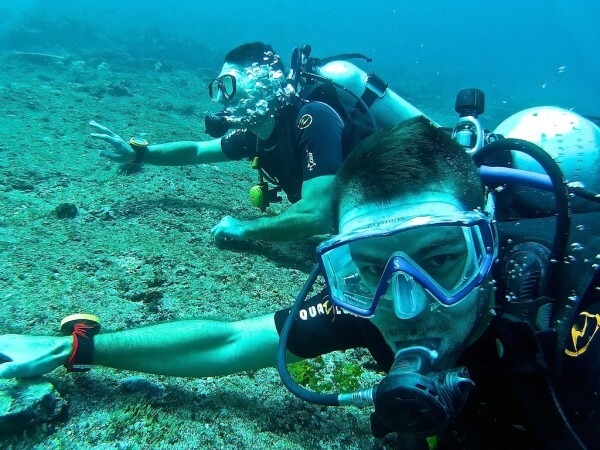 WHAT'S SO GOOD ABOUT DIVING IN THE KOMODO NATIONAL PARK? The waters surrounding the Komodo National Park form part of the Coral Triangle, which contains one of the richest marine biodiversity on earth: a paradise for divers. It was even selected as one of the New Seven Wonders of Nature in 2011. 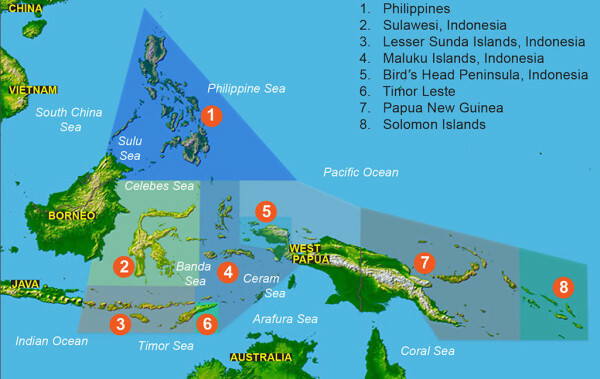 The Coral Triangle is the global centre of marine biodiversity, holding 75% of the world’s coral species, 6 of the world’s 7 marine turtle species and 3000 marine fish species. Labuan Bajo on Flores island is the transport hub into the Komodo National Park. It has a brand new airport built in 2014 with flights to other international destinations in Indonesia like Bali. 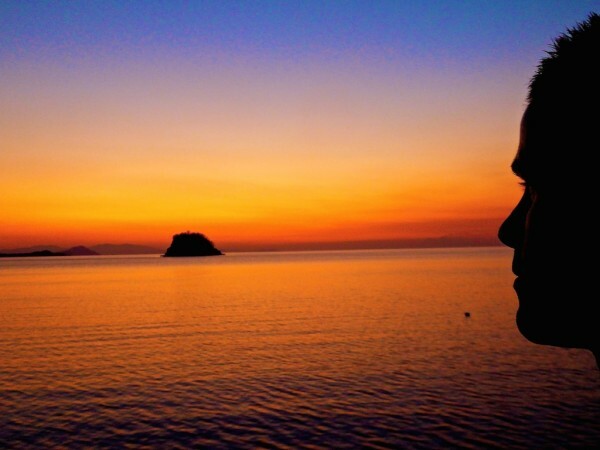 The Komodo National Park is also the meeting point of the Indian and Pacific Oceans. The Pacific Ocean towards the Northeast has a sea level of 150 millimetres above average, whilst neighbouring Indian Ocean in the South is 150 millimetres below. This 30cm difference causes a tidal flow from the Pacific to the Indian Ocean, bringing with it nutrients and plankton to keep these waters rich and well fed. The result is a plethora of wildlife but with strong currents, making the diving more suitable (and fun) for advanced/experienced divers. The dive sites are typically affected by the seasons. The Northern dives sites around Castle Rock are rougher and not easy to dive between December to March, but the South diving sites are smoother during this time. 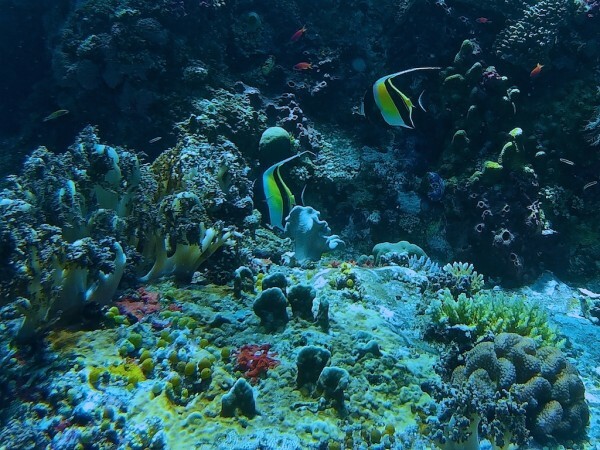 The Pacific waters keep the Northern dive sites warmer, with an average of 26 degrees celsius (79 Fahrenheit). The South is affected by the colder Indian ocean, with an average temperate of 24 degrees celsius (75 Fahrenheit). We visited in September and with 30 dives under our belt, we were experienced enough to tackle the more remote dive sites around Castle Rock. 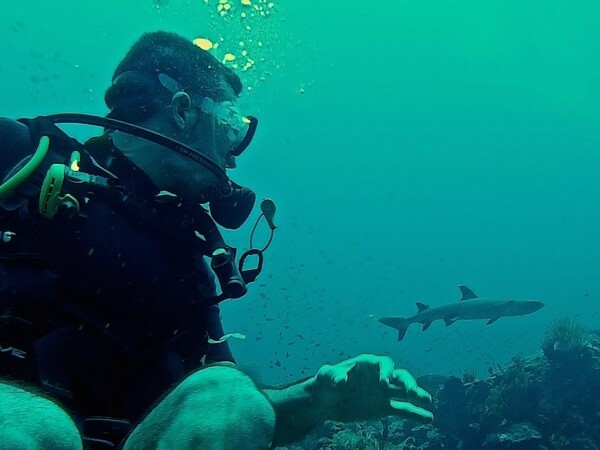 After a few dives, you'll become so blasé about seeing another reef shark and another turtle. Not to mention schools of tropical fish everywhere, moray eels, giant trevallies and so much more. 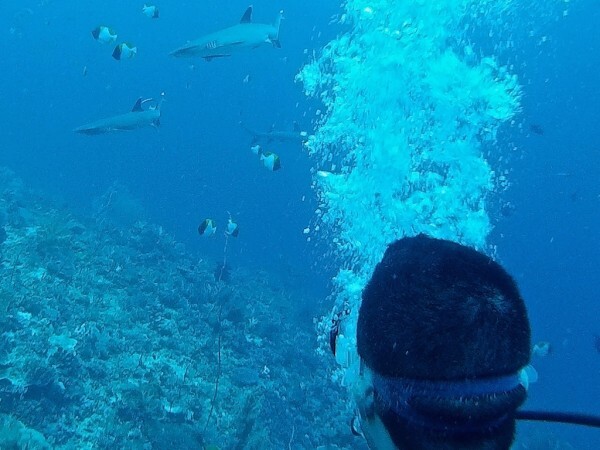 We saw sharks in nearly every single dive in the Komodo National Park, mainly black tip reef sharks and at one point a large grey reef. At the Crystal Rock reef, Stefan found Shakira the white tip reef shark and they bonded. Shakira usually grows up to Stefan's height of 170cm (5ft 7), sometimes more. Tatiana the Turtle insisted on following us around the Komodo National Park during every dive. We just couldn't get rid of her! Well, who are we to complain? The moray eels we saw were not really ones you'd want to befriend too quickly. They were a mean pair and quite angry at something. In all our dives to date, we'd only seen moray eels popping their mouth out from the rocks. 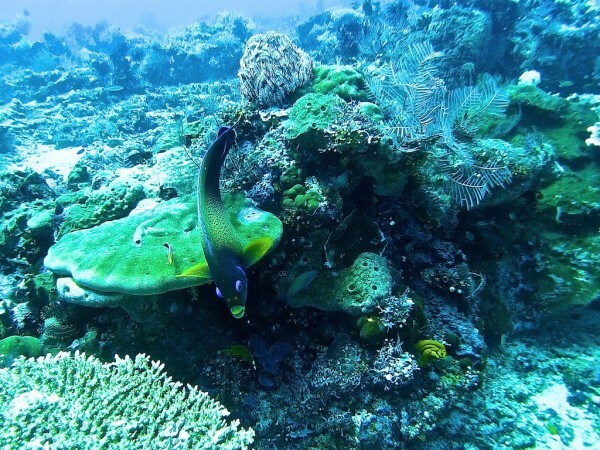 But during our dive at the Crystal Rock reef, we saw these 2 moray eels out in the open fighting. But let's be honest, spotting the occasional big fish does make it that little bit more exciting. We recommending searching on Tripadvisor reviews for the best company and go around and speak to several of them. Check their equipment is all new, the Divemaster speaks good English and that they don't pack their boats with people. Also, a company with a speedboat is a plus because it means you will be able to reach the more remote dive sites quicker then them and have the site all to yourself. Diving in the Komodo National Park costing around $85-100 for 2 fun dives with an outrigger for, or more if going by speedboat. As we warned at the start, diving in the Komodo National Park will set your scuba bar very high and will be very very hard to beat! 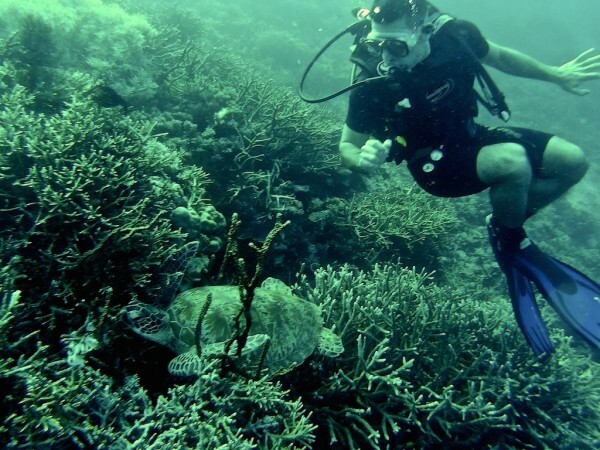 Read more about our scuba diving experience in the Komodo National Park on Mr Hudson Explores. Diving here is definitely among my travel wish list! Sounds like you had some awesome experiences there. Lovely pictures! 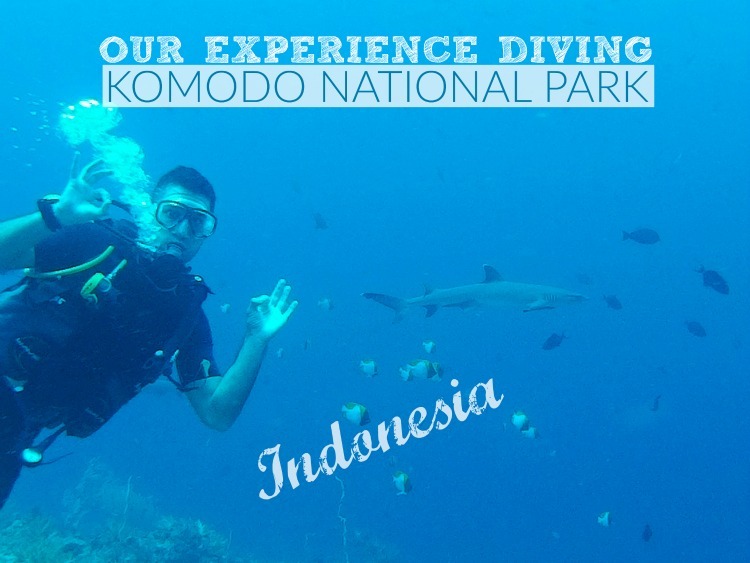 We loved diving the Komodo too! We only got to dive for a one day, but what a treat! We did not dive Castle Rock though, seems like a great dive site. Next will be a liveaboard for sure. So many sharks! and nice video of the eels! 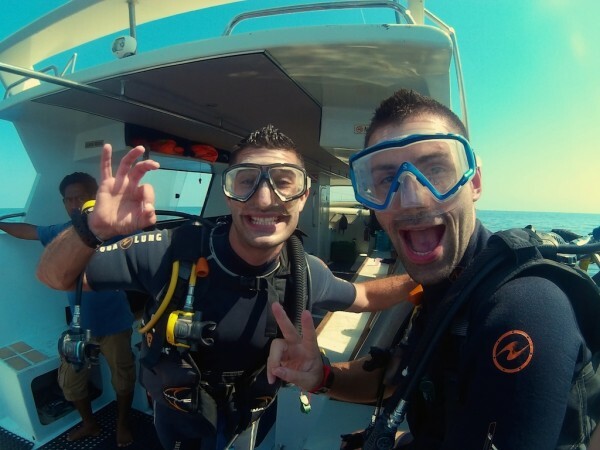 I’ve heard great things about diving off Komodo and was thinking about getting my DM there on one of the live aboards. Just know this site. I just want to say i don’t care whereever u go, u two so super duper cute n full of love i can see from ur pictures. U two must be lucky meet each other. Wish i can hug you two. 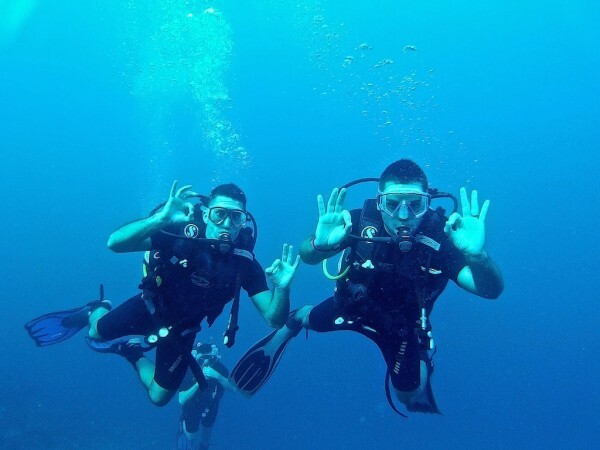 That looks like some great diving guys! I remember snorkeling around the gili islands and seeing some great stuff. We wanted to head over to komodo island to see the dragons but it was too expensive, perhaps the new airport has reduced prices. Thanks Andrew. We flew from Bali to each – a bit cumbersome but far cheaper. 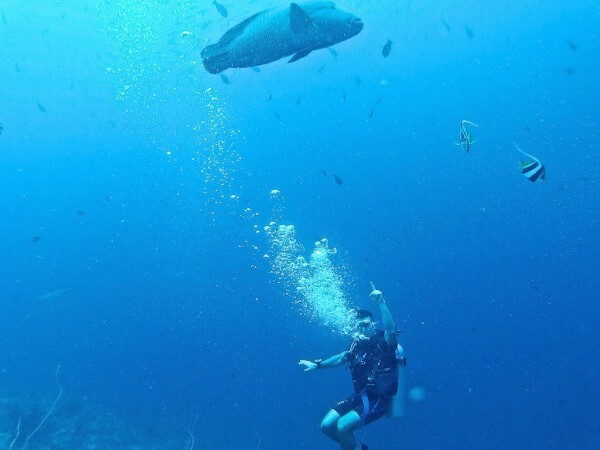 this is an awesome ‘report’ on diving in Komodo NP! 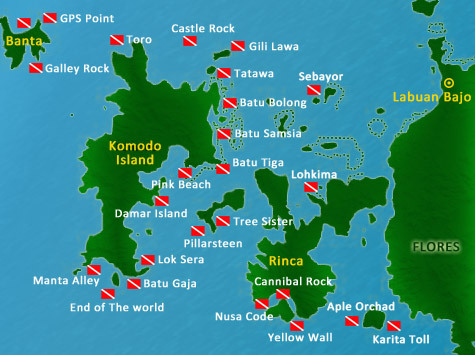 So have you dived somewhere else after Komodo? Thanks for your comment Vira. 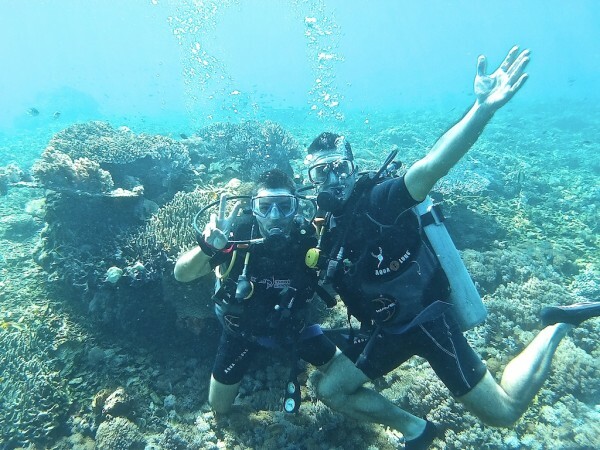 We did some dives in Gili T after yes. Actually you are very right about the speedboat. I went on a regular boat and it was a very tiring experience. The area is large and it took us 3h to reach the five spots after collecting every one at their resorts, then you dive twice and back. We woke up early and spent over 7h on a crowded boat, it was exhausting. By the end of Day1 we didn’t want to go back to dive. I think if I return to Komodo these guys at Blue Marlin will be my choice. Thanks for the tip! Thanks for your comment Philipp- my god that Muezzin!! !